Does anyone know if rotary engines are susceptible to LSPI? Please answer with real facts, lets stay away from "a buddy of mine told me"
With respect to 13b-rew the answer is NO. Reason: LSPI is a result of direct injection. Last edited by Montego; 11-22-16 at 10:18 AM. So I could floor it in fifth gear at 2k RPM and their should be no issues at all? With my STI I most certainly cannot floor it in a high gear at low RPM even though the engine is not direct injection. The root cause is a phenomenon called Low Speed Pre-Ignition (LSPI). LSPI, which results in Superknock, is auto-ignition before the spark but not early enough to melt the piston. It happens close to the spark event and causes massive knock afterwards. Damaging knock. Last edited by Natey; 11-22-16 at 11:09 AM. I can't tell you about your boxer sti engine but here on this forum I've yet to hear of anyone blow a engine at low RPM. However, I am open to the idea that it is not a common phenomenom because we just don't do it as a whole. However, on that same breath there are plenty of articles supporting that LSPI is a side effect of direct injecton. Which is due to manufacturer's attempting to maintian fuel economy while adding power to a small engine. The rotary 13B-REW is small and powerful... but certainly fuel economy isn't one of it's attributes. Demand for improved fuel economy and reduced emissions has driven passenger car manufacturers to design downsized, turbocharged engines. While these engines provide higher power density and improved efficiency, they are also prone to Low Speed Pre-Ignition (LSPI). Another, more complex, issue is low-speed pre-ignition (LSPI). Toyota, in particular, has found that engine oil volatility can *become a factor in producing LSPI in small displacement, turbocharged, GDI engines. In brief, oil volatility concerns the actual temperature at which the oil begins to turn from a liquid into a vapor. Engineers have discovered that a very small droplet of oil passing through the *piston rings and vaporizing at the edge of the combustion chamber in a GDI *engine can spontaneously ignite, which can cause mechanical *damage by upsetting the carefully managed combustion process used in GDI engines. I think I have always killed my turbo rotaries over 5,000rpm. Not a lot of rotary torque at 2,000rpm even with some boost. 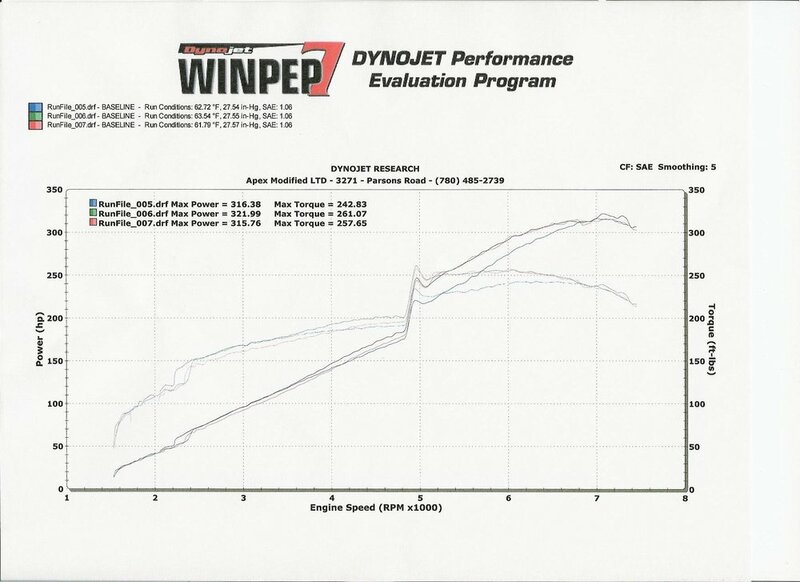 My EFR 7670 managed a whopping 50hp and 125ft/lbs torque at 2,000rpm with ~5psi boost. You have to look on the bright side and realize that 125ft/lbs would be peak torque if you were stuck with an NA rotary. But, I was always interested in the full rpm range power- even if it wasn't great. So I did lots of pulls from below 2,000rpm. At low rpm you will be able to hear detonation on the rotary if it occurs and get out of the throttle before damage happens anyways. I had plug wires backwards on my TII once and noticed it right away- sounds like walking on pea gravel. The rotary makes so little power at low rpm it can survive that detonation shock. Its when there is enough air/fuel to make a big bang that not only does torque increase, but the detonation shock wave becomes deadly to the rotary. Did you hear any detonation when you did the dyno pull at 2k RPM? Only time I heard any detonation is when I crossed the plug wires. Other times, at high rpm with WG open I didn't hear detonation- only felt the motor cut-out/hesitate and then come back or come back weak when it blew. Sounds like you're talking about lugging your engine. Engineering Explained but out a video about this a while ago if you want to know more. Dont worry for your rotary engines. This problem is mainly for modern (10.5:1) High CR (17psi) High boost GDI engines like Peugeot 1.2 pureteh OR Ford ecoboost series. Are there still any others in...?